Comfort Home Care, a Bethesda Maryland in-home care agency, released a guide to help families with elderly loved ones prevent dangerous falls. The Maryland in-home care agency aims to help families provide the best care possible for their loved ones. Falls can be dangerous, particularly for elderly people. Many have pre-existing disabilities or medical complications that can make a fall that a younger person can easily sustain all the more dangerous. Fragile bones and skin further compound the problem. These falls could result in broken bones, lacerations, and other injuries that take more time to heal. There are several ways that families of elderly loved ones can help them avoid falls. First, ensure that floors are clear of all tripping hazards. This includes unsecured rugs and wires, children's and pets' toys, and other general household clutter. Removing these objects immediately lessens the chances of an elderly loved one falling. The proper footwear can also be helpful. Shoes with strong, rubber soles that grip the floor and provide sturdy walking surface help your loved ones walk with confidence. Physical activity, such as balancing exercises, can also be used to promote strength, balance, coordination, and flexibility, all of which decrease the chances of falling. It may also be smart to install some assistive devices throughout your home, such as hand rails, non-slip treads, raised toilet seats, and plastic seats for the shower. Lighting, including nightlights along the stairs and hallway, can help illuminate areas enough to help ensure your loved ones can see any hazards before they step. In-home care is one of the best ways to help prevent falls. An in-home care nurse can help loved ones navigate potentially dangerous situations while allowing them to maintain a level of independence. Comfort Home Care's certified nursing assistants help clients with activities of daily living, including bathing, dressing, eating, and exercising, and can even provide transportation to doctor's appointments and other errands. 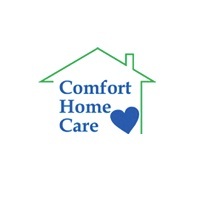 To schedule a free consultation to discuss your loved one's needs, contact Comfort Home Care at 301-984-7681 or online at https://www.choosecomforthome.com/. The agency is headquartered at 121 Congressional Lane, Suite 201, Rockville, MD 20852.